Cadillac really hit the mark last year with its new CTS sport sedan. Though the CTS hasn’t found unanimous appreciation for its love-it-or-hate-it styling, nearly everyone who spends some time behind the wheel of one gives fervent approval. The CTS was introduced for last year, essentially replacing the Catera, a blandly styled underdog that offered good handling along with barely enough power in a tepid-at-best (though rear-wheel-drive) package. 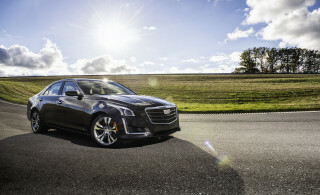 Built on an all-new rear-wheel-drive platform (called Sigma inside GM), the CTS offers more performance — and a performance emphasis — in a package that really stands out from the crowd. 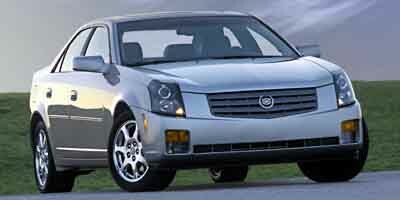 For 2004, Cadillac introduces several significant changes to the CTS — the most significant a new, more powerful engine. The 3.2-liter V-6, re-engineered for the ’03 CTS, is still the standard engine, but it’s now only available with the excellent Getrag five-speed manual gearbox, providing satisfying performance with the manual and decent performance with the standard five-speed automatic. 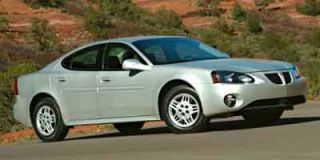 The 3.2 is actually an updated version of the 181-hp, 3.0-liter, 54-degree V-6 formerly used in the Cadillac Catera and still currently used in the Saturn L-Series. The newly available 3.6-liter V-6, a $1547 option by itself and your only choice if you want an automatic transmission, isn’t a huge step forward power-wise, but it has that extra measure of oomph — okay, very sophisticated oomph — to make the CTS feel both faster and more refined. We strongly recommend it. 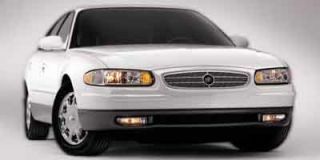 Rest assured, the new 3.6 is of Cadillac origins. The engine features variable valve timing (VVT) and has a modern all-aluminum design based on the latest version of the division's esteemed Northstar V-8 that helped bring Cadillac through the ’90s stronger for the fight. Power is a respectable to 255 hp, with 252 lb-ft of torque at 3200 rpm. 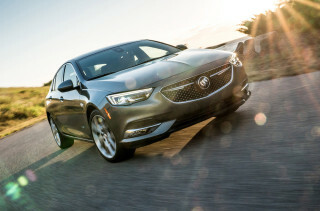 Although the new 3.6-liter engine isn’t a huge step forward power-wise, it’s a noteworthy step up in refinement and general drivability over the 3.2-liter, a fine engine, but one that’s just not as smooth and flexible as you might expect in a high-end luxury sport sedan. Most 90-degree V-6s aren’t typically very smooth, but the 3.6 is a gem. The variable valve-timing system helps beef up the entire rev band (90 percent of its torque available at 1600 rpm), and the 3.6 feels perfectly happy and smooth at just about any speed or load, with a flexibility that bests most other V-6 powerplants out there. Best yet, the 3.6-liter doesn’t need premium unleaded for best performance, while the standard 3.2-liter does. 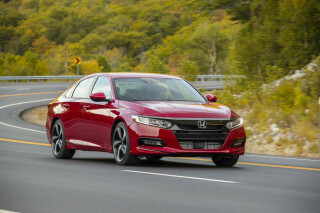 Overall, its highway mileage figure of 28 is pretty impressive among luxury sedans of its size, weight, and power. In these days where paying more than two dollars per gallon is a distinct possibility, every bit helps, even for Cadillac buyers! The five-speed automatic transmission is made by GM and carries the company’s esteemed Hydra-Matic name, with this unit called the 5L40-E. It’s performs well, with smooth downshifts, snappy downshifts, and solid launch feel from stoplights. 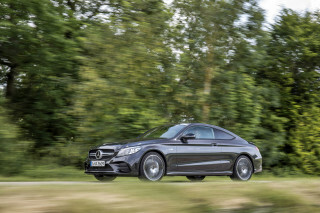 With the 3.6, the transmission feels very European (it’s the same transmission that’s been used in the BMW 5-Series until now) wringing the most out of the engine’s abundant mid-range torque with firm, early shifts, but downshifting decisively with a heavier right foot. 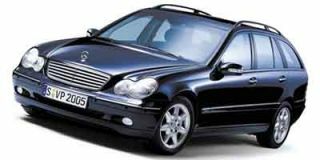 At low speeds, though, in first or second gear, we noticed some gear whine underfloor, especially when maintaining just below 20 mph. Our test car had less than 400 miles, so it could be that there was some breaking-in still to be done. The five-speed allows engine braking in all gears, a first for a GM automatic. 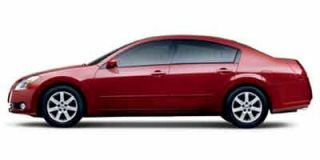 For 2004, Cadillac claims to have softened the CTS’s ride without sacrificing performance, by incorporating new dampers and mounts. Even our car’s sport package, the CTS’s ride seems to be plenty comfortable, with the suspension soaking up irregularities more adeptly than before, yet there isn’t any more overall body motion and quick transitions still seem incredibly sharp. If you take the CTS out for a test drive, in fact, we’re willing to bet the CTS’s excellent steering and unflusterable body control will awe you. Whip the CTS through some tight esses, no problem. Speed around an intersection, and the steering stays nicely weighted, almost returning itself to center, the body keeping composed and the tires gripping loyally. 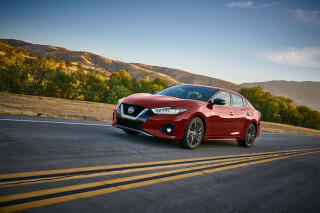 Oh, and when the tires do slide a little bit, the optional Stabilitrak system sets you back on course with only the slight nudge that’s necessary — it doesn’t cut all your power for a painfully long almost-second like some earlier stability control systems. In the CTS, Stabilitrak feels performance-oriented and does allow enough hotfooting to make you want to keep it on. Adding to the driving experience, the CTS is equipped with great four-wheel disc brakes that have an especially confident, firm pedal feel that’s unlike that in any of GM’s other domestic models, except for the Corvette. The front seats in the CTS are simply excellent. If you’re tallish, or at least average in height, it’s likely you’ll feel about right, but if you’re shorter the tall beltline might make you feel a bit claustrophobic. Testing the back seat out with several different-sized people, we found the unanimous response that it was “cramped back there.” With the front seat in a comfortable position for my lanky six-foot-six frame, I couldn’t fit in the back, period. With the CTS’s rear-wheel-drive layout and requisite drive tunnel in the middle of the back-seat floor, it really only has room for two adults comfortably in front and two in back for short periods — unless those in front are small. A trunk pass-through for skis or long items is standard, but our test car had the optional split-fold rear seatback. So equipped, the back seats fold forward as in a hatchback to make an almost-flat loading floor. It’s simple and you don’t need to remove the headrests. The cargo area still narrows a bit where the rear seatback normally is, but we managed to fit an adult-sized bicycle in the CTS with relative ease thanks to the tall trunk and wide opening. Our car was loaded up with the “1SC Equipment Group,” a $9950 package that includes the 3.6-liter engine, the sport suspension (including rear load leveling), performance brake linings, variable assist steering, StabiliTrak, W-rated tires on 17-inch polished alloys, HID headlamps, the split-folding back seat, a sunroof, a six-disc CD changer and Bose sound system, heated seats, and several other luxury-oriented features. 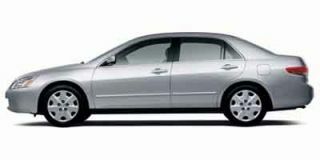 We also had the $1750 DVD Navigation System option, which includes XM satellite radio capability. In an earlier experience with XM, we found the reception to be spotty, especially in forested areas, but we’d since been reassured that improvements have been made and reception is great just about anywhere. Somehow, again, we must have found the bad areas for reception. Where there’s an open view to the sky, reception is flawless, but in the thick Northwest forests, we still experienced frequent issues with dropping out, a similar effect to what happens when jogging with a CD player. We found a few places where the signal completely disappeared, under a canopy of trees in the parking lot of a wildlife refuge, albeit one very near civilization, where many normal FM stations came in just fine. The navigation system has been revised for this year. It’s now a DVD-driven system and also seems to update itself much faster than before. There’s also now a 3D bird’s-eye view mode, and buttons on the side of the screen take you from the navigation system to audio features then back to either a map view or a view of driving directions. It’s one of the best in the business. Voice commands are accessible with the push of a steering-wheel button, but the scope of the feature is very limited. For those who haven’t been in a Cadillac in the past few years, nearly everything has changed, and for the most part that’s a good thing. The CTS interior looks very contemporary and bold inside. There’s a relative, remarkable absence of woodgrain (it’s on the steering wheel and shift knob), and taking its place is textured black plastic — though much of the plastic used feels too cheap to be in the middle of a Cadillac’s dash. The interior features the recognizable, italicized Cadillac font, similar to what’s also been used in the Chevy Corvette in recent years. Instrumentation is simple, with big, round gauges and clear switchgear with plenty of functions directly accessible from the steering wheel. The manual-transmission 3.2-liter CTS is no slug, but those who like to shift for themselves might want to wait a short time. Next year, Cadillac will offer the 3.6-liter engine with the manual transmission; and late this fall, the very focused CTS-V arrives, equipped with a 400-hp version of the Corvette’s 5.7-liter V-8, along with a six-speed manual transmission, Brembo brakes, 18-inch wheels, and a retuned suspension for $49,995. Also next year, Cadillac will introduce a new replacement for the Seville STS, based on a stretched version of the same platform as the CTS. With the 3.6-liter engine upgrade for this year, the standard CTS is now a well-rounded American luxury sport sedan positioned, somewhere between the BMW 3-Series and Mercedes-Benz C-Class. In spirit, the CTS’s closest competitor is probably the Infiniti G35 sedan, which is similarly capable and fun to drive but with a classier, more detailed interior. Modestly equipped, the CTS is a steal at just over 30 grand, but our test car priced well into the 40s reminded us that in that range there might be other cars to consider. When we can beam about the entire package the way we do the driving experience, then Cadillac will have something honestly class-leading versus longtime segment leaders BMW and Mercedes-Benz. Most importantly, though, the CTS shows that the tides are really turning at Cadillac.